We all know that water is one of the essential elements of life. The Earth is over 70% water, and our bodies are approximately 60% water. And if you’re paying attention to your health, you’ve probably heard the advice to drink 2 litres of water a day. You’ve probably also heard how water supports saliva production and rinses out your mouth. And sometimes, there is nothing as refreshing as a long, cold, drink of water. But after a while, water can get a little bit bland; it doesn’t have much of a taste. At the same time, you’ve undoubtedly heard that some drinks should be avoided for optimal dental health and a stunning smile. Soda and juices are full of sugar, while coffee, tea, and wine can stain your pearly whites. So what are you to do to get all the liquid you need? One answer is to drink sparkling water, it has a different bit of tingle to it, and different tastes as well. But is it safe? What causes the bubbles, and what can they do to your teeth? You may even have heard that carbonated water can damage your tooth enamel. What is the truth? 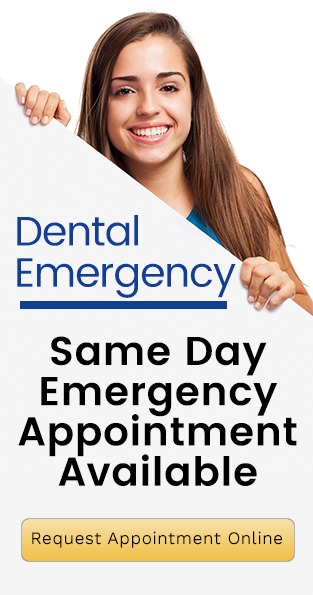 At Forster Dental Centre, we have answers. Why Could Sparkling Water Be Bad For Your Teeth? It’s chemistry – H2O(l) + CO2(g) ⇌ H2CO3! Ok, we don’t really expect most people to understand that. So here’s the story. In sparkling water, carbon dioxide gas is dissolved in regular water. This creates carbonic acid, which gives the water its sparkle. Theoretically, this higher acidity could create problems for the teeth. Beverages including citrus juices and soda are known to have higher acidity and increased potential for tooth erosion. Sparkling water is healthier than other options, but it does have slightly elevated acidity. Pure water is “neutral” on the pH scale, meaning it has a level of 7. A measurement below 7 means more acidity. The pH of soda is between 2 and 4, and fruit juices are usually come in between 3 and 5. Sparkling water normally measures between 5 and seven depending on the particular brand of sparkling water. Your enamel, the hard, protective outer layer of the tooth, can start to dissolve in conditions in which the pH level drops below 5.5. So, most sparkling water should be safe, but some might have a too-high acidity. So, theoretically, sparkling water can harm your teeth. But what do scientists say about real life? There is no absolute consensus, but most science seems to find that carbonated water is not that bad for your teeth. Some studies conclude that carbonated water could damage teeth, but others suggest it has little effect on them. This is a relatively unrealistic simulation of the mouth, and Dr Peter Alldritt of the Australian Dental Association notes that erosion is a slow process and that saliva fights against erosion as it contains buffers and enzymes that neutralise the acidity of carbonated water and other acidic drinks. This quickly returns the PH level of your mouth to normal and safe levels. 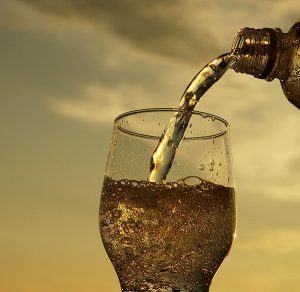 Avoid sparkling water with any added sugar or artificial sweeteners. Sparkling beverages can have hidden ingredients, so read the ingredients lists carefully. Avoid drinking too much sparkling water with high amounts of citric acid added. Rinse your teeth after drinking. After you drink, chew xylitol gum, which prevents the natural formation of acids in your mouth. If you follow this advice, practice good oral hygiene at home, and visit Forster Dental Centre regularly, sparkling water can be a part of your healthy lifestyle!